Today I’m sharing a recap of my weekend as well as how to make the most of your gym membership. My weekend started out pretty good with a date night with my boyfriend on Friday. We spent the night watching the latest episode of Rick and Morty (he got me hooked on it – it’s not typically something I would watch) and we also watched a movie. It felt great to relax and do absolutely nothing other than sit on the couch for a few hours. 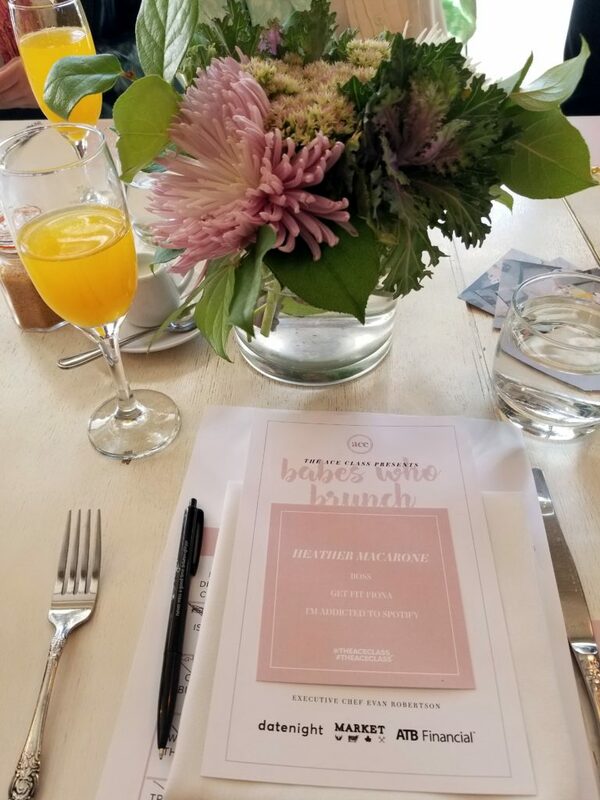 Saturday morning I had attended Babes Who Brunch – a networking event for women who are entrepreneurs or interested in entrepreneurship. It was held at Market, so the food was absolutely delicious. It was a lot of fun networking and getting to know the other ladies sitting at my table with me. The speaker, Hannah Cree, co-founder of CMNGD (common good) had some great ideas to share. I’m not the best at making small talk and going into unfamiliar social events, but this one was fun even for me as an introvert. I’ll definitely be going to Babes Who Brunch again. Walking back to my car after brunch, I stopped at my favorite little bakery to pick up a couple cookies. 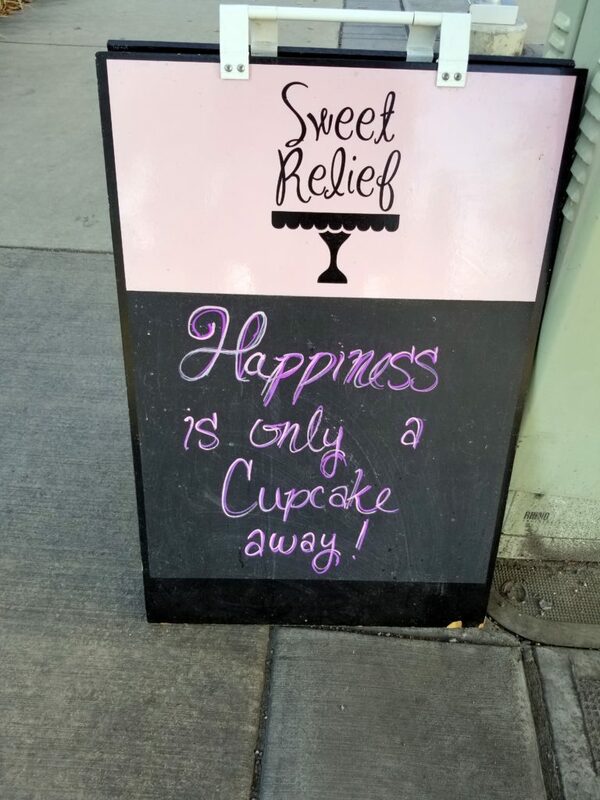 Everything they offer – from cakes to cookies – is delicious. They always have a cute side outside their store too. Sunday was spent doing laundry, getting some stuff done around the house, and blogging. 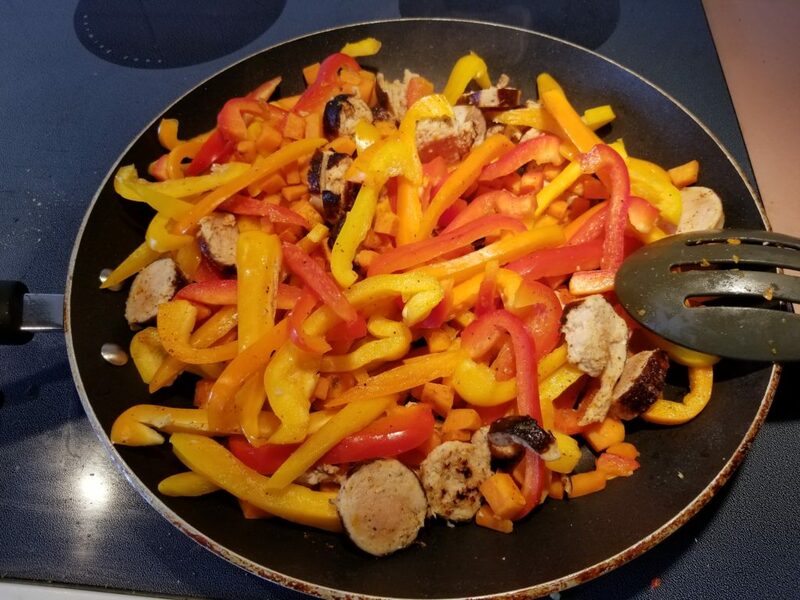 I cooked up lunches for the week, which included chicken apple sausages, a couple bell peppers, half a sweet potato, and some spices. It turned out delicious, so I’m looking forward to eating it this coming week. A gym membership is an investment in your health and well being. I was telling someone this week that the time I spend at the gym is my “me time”. I put my earphones on and I don’t think about anything other than my workout. I don’t worry about work, family, or finances. 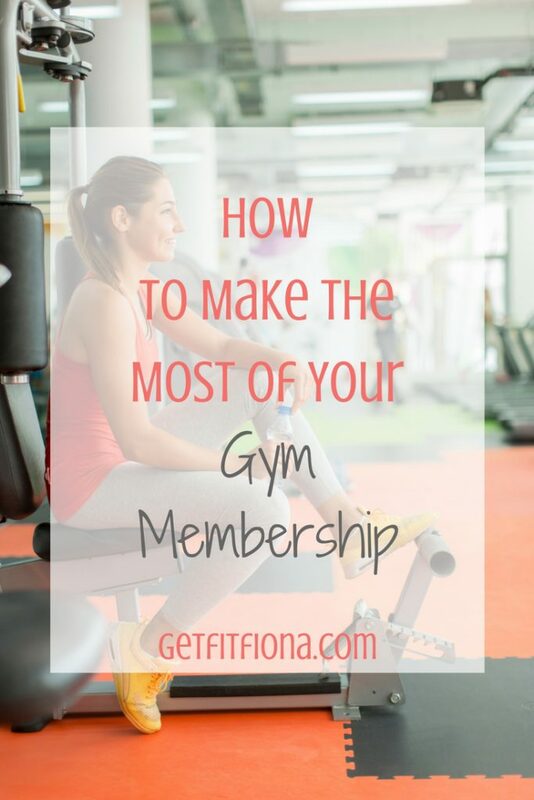 Today I thought I’d share a few ways to get the most bang for your gym membership buck. Ask for an orientation // If you’re new to the gym, ask the front desk for an orientation. They’ll show you around the gym, point out the different rooms for group fitness classes, and even show you how to use pieces of equipment if you’re unfamiliar with them. It’s always handy to know where they keep the foam rollers or bands, as they might be kept in a cabinet or behind the front desk. It’s also a great opportunity to ask any questions about the services that are offered by your gym. Go to the gym // First off, and most important, you have to actually go to the gym. There’s no point to having a membership if you’re only going to go once a week. You’d be better off just paying for a drop in pass if that’s the case. I find that having a workout planned for my next trip to the gym helps in getting myself there. If I don’t know what I’m going to do when I get to the gym, it’s harder for me to get up when my alarm goes off. Take advantage of the services offered at your gym // A lot of gyms (though not all) will also have registered dietitians, massage therapists, and physiotherapists. These people are great resources for you, along with personal trainers. Although you’ll most likely have to pay extra for these services over and above your gym membership, you’ll also probably get a discount for being a gym member. Group Fitness Classes // Most gyms will include admission to drop in group fitness classes in your gym membership. I know that I’m much more likely to get to the gym if I know that there’s a a group fitness class happening that I enjoy. Classes include everything from Zumba to Spin to Step, so there’s something for everyone, no matter what you’re into. Fitness classes are also great for when I don’t have a planned workout. Having someone else do all the planning for me is just what I need sometimes. Go during off times // My favorite times to go to the gym are when it’s slow. First thing in the morning when the gym opens (5:30 am), around 10:30 am, and then again around 7:30 to close are slower times at the gym that I go to. Peak times are typically right before and after work, as well as when the high school right next to the gym lets out for the day around 3 pm. I find that I’m able to get in and out faster if I go when fewer people are there – I don’t have to wait for machines, plus the change room is less crowded. Use the equipment that you don’t have access to outside of the gym // I doubt most people have ellipticals, squat racks, cable machines, or 50 pound dumbbells in their homes. Most of the equipment like that is only available in gyms. Although you may have some equipment at home (I have a treadmill, exercise ball, foam roller, DVD workouts, and some dumbbells), if you want to get in a great strength training workout, that will most likely involve a trip to the gym. Leave a comment below with how you make the most of your gym membership. I totally agree with the group classes! Great motivator to get up and go….